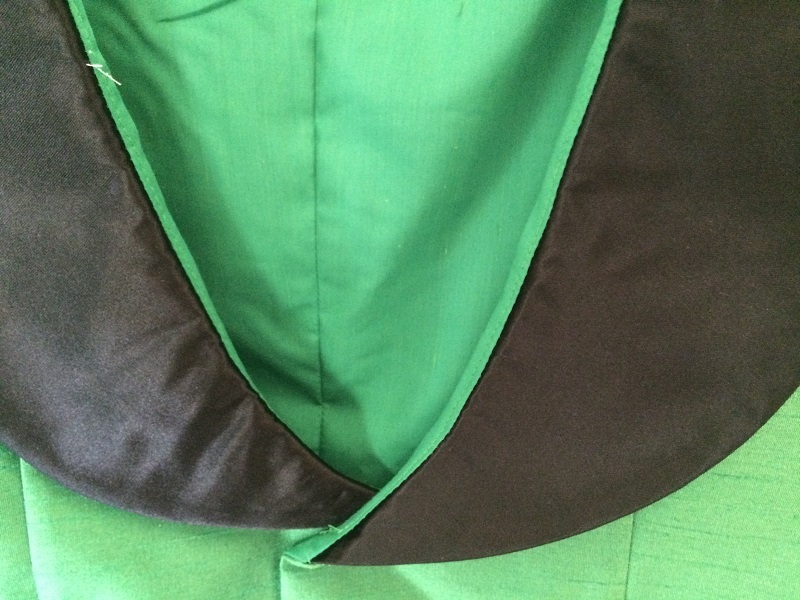 View D: The understitching is not going to be enough to keep the lining from showing along the collar edge. 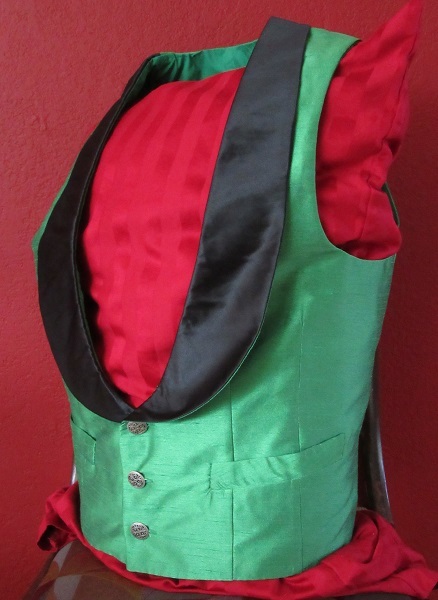 This pattern does not use facings on the lining side. 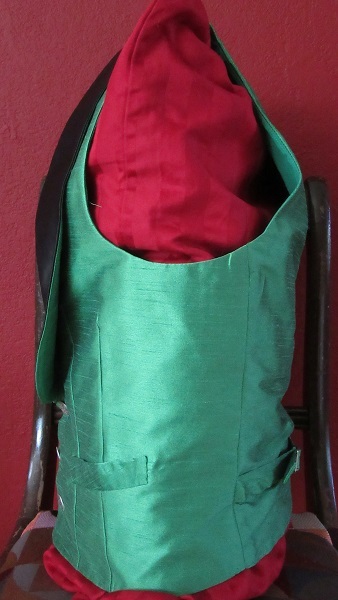 The upper edges may need to be prickstitched through to the fashion fabric to keep it from turning. 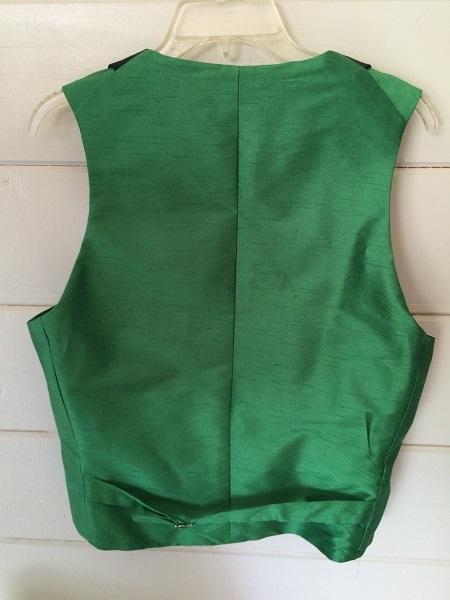 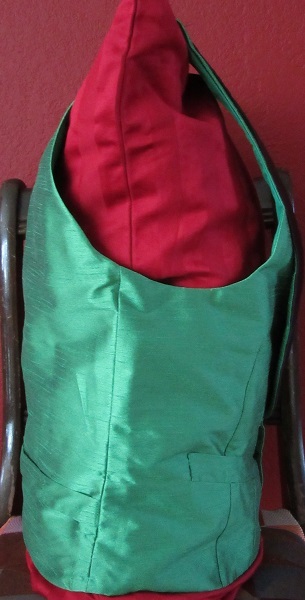 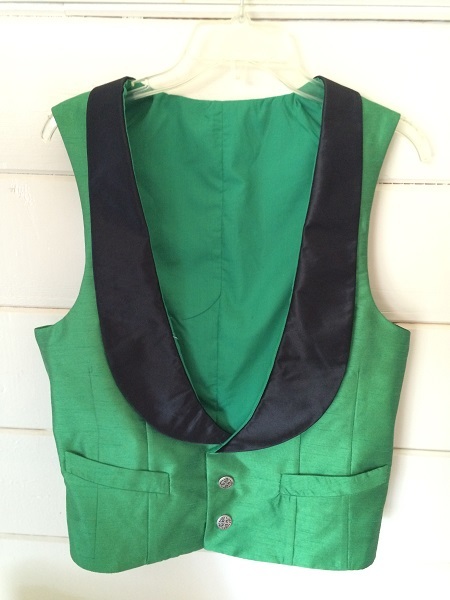 Green faux (synthetic) silk dupioni waistcoat with deep black polyester satin collar has green cotton/poly lining, two front welt pockets, silver colore buttons, and a tie back. 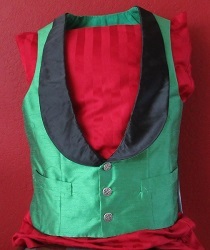 This was originally made to match a dress, but never worn. 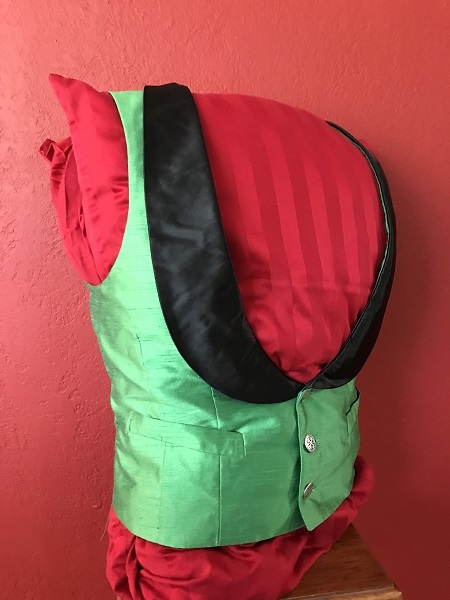 Note: The understitching is not going to be enough to keep the lining from showing along the collar edge so some of the green inner edge may show by the collar. 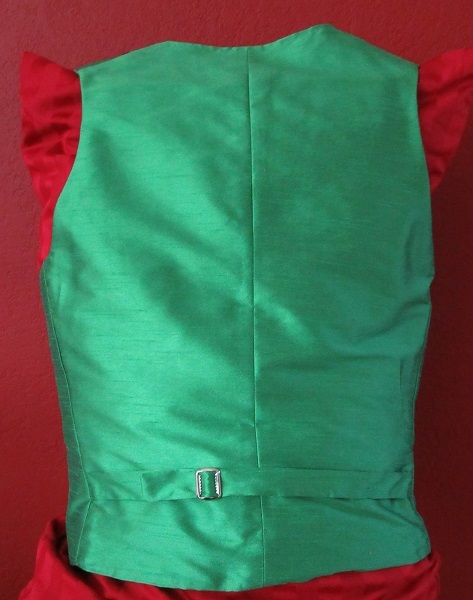 Pillows a bit too big for modelling so chest/open area wouldn't be quite that large.